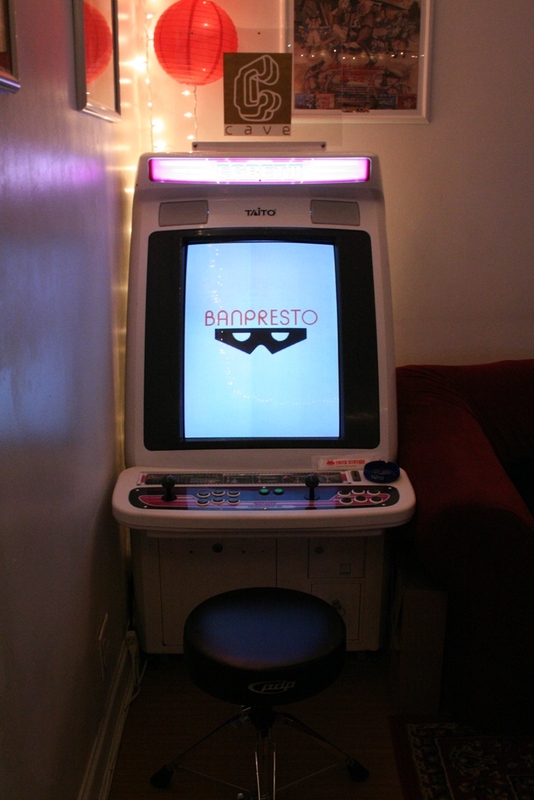 I wanted to start a thread that has nothing but pics of everyone's cab. Here is my Neo Geo MVS 2 slot and my Capcom Big Blue. My one slot right when I got it. I've fixed the coin door and refurbished the CP since. Last things left to do at this point are change the locks (they're in the mail) and pull the 1979 wells gardener monitor and put in a PVM. Awesome, I was just about to make a thread about this, glad someone beat me to the punch! I got the cocktail running right before a party this weekend, and it was a huge hit! 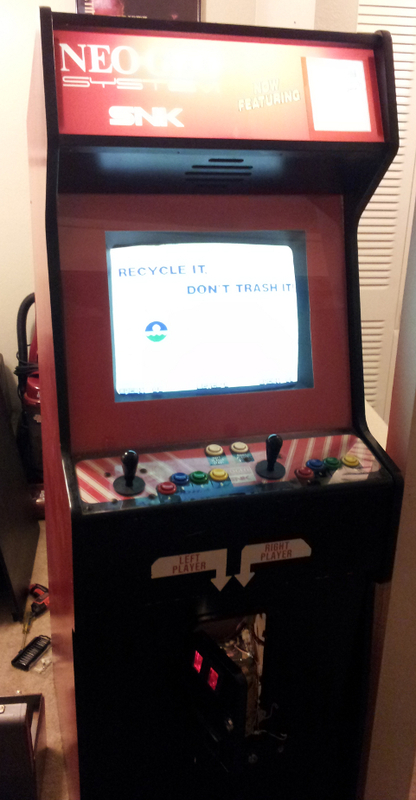 I still have to do some restoration work to it, but it is functional! The "Fix it Felix" needs to have the control panel put back together, finally get a coin door, and get some odds and ends fixed, but people are blown away when they see it. 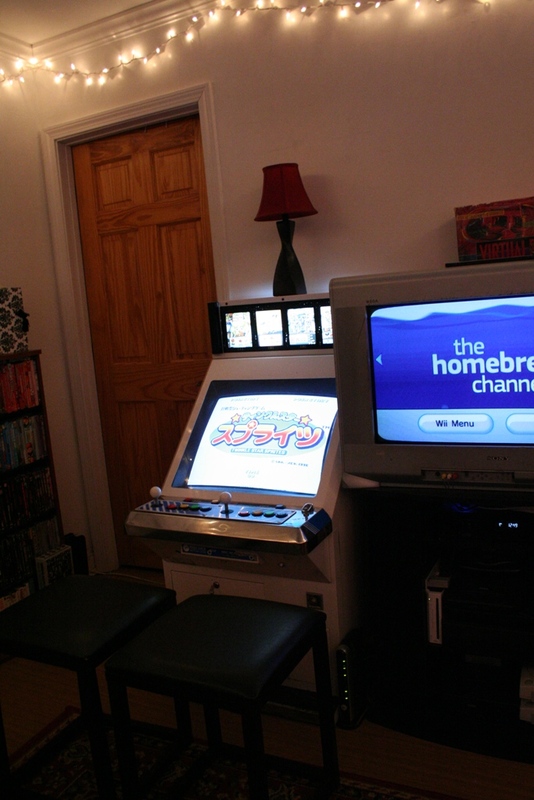 The cabs are right between the living room and kitchen, you cant miss them when you walk in the door! The option for one last cab is available (from the Wife) but it needs to be a special cab for sure. We plan on getting a smaller pub style dining table to make room for another if it comes up. I always wanted a sit down street racing cab. I LOVED those as a kid. Just realized that this thread could practically be called the Racketboy Neo Geo club too! 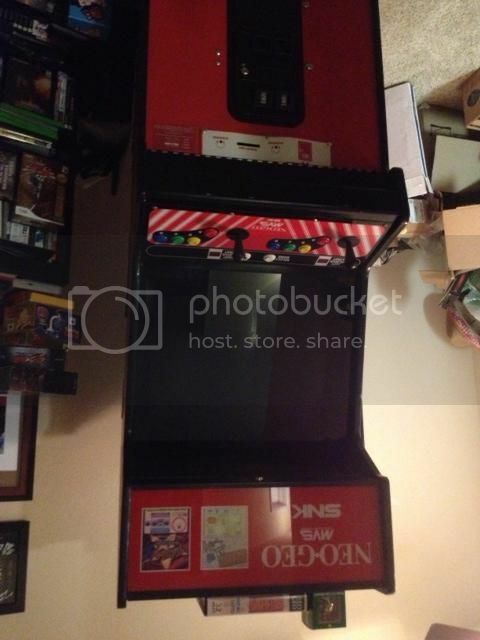 My Neo-Geo 2-slot Candy Red Arcade cabinet!! 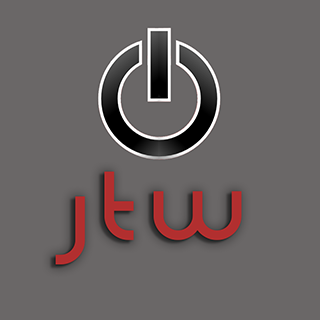 Last edited by Dakinggamer87 on Tue Aug 20, 2013 2:34 am, edited 3 times in total. 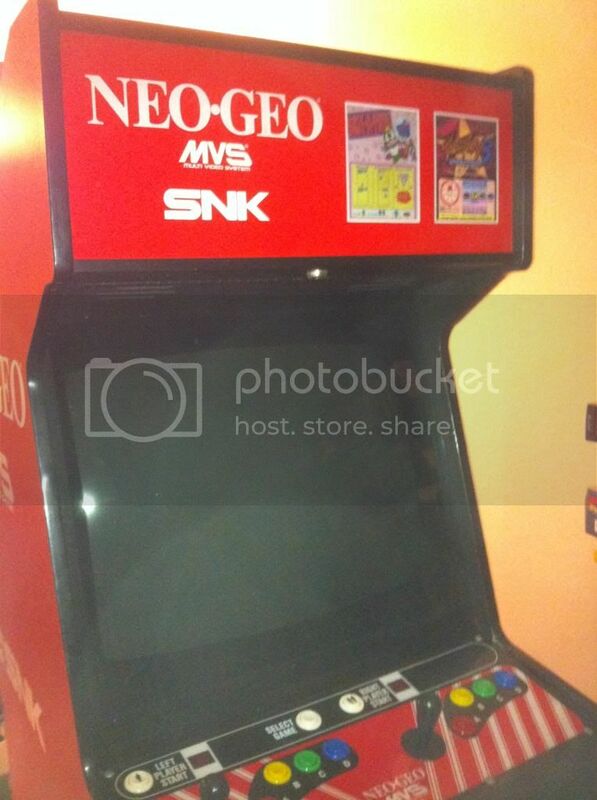 Don't take this the wrong way but what's so special about Neo Geo cabs? 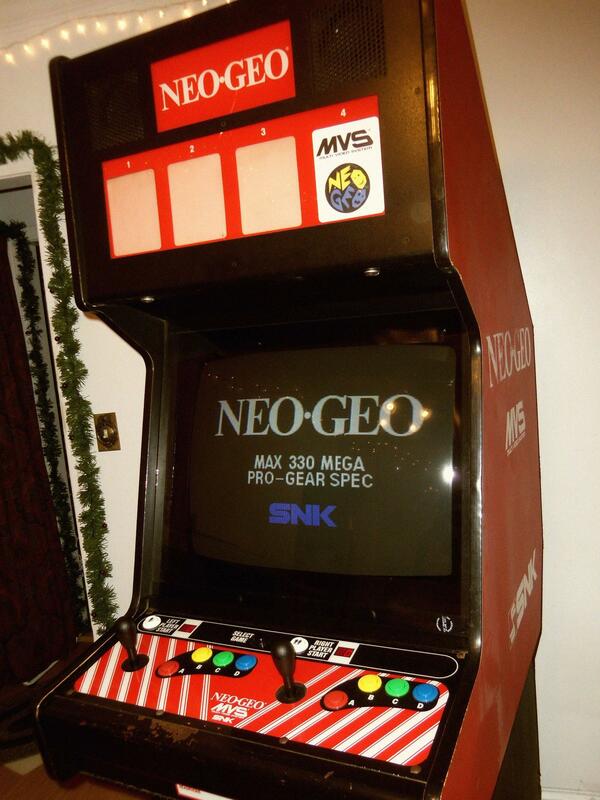 oxymoron wrote: Don't take this the wrong way but what's so special about Neo Geo cabs? Keep the cabs coming! Let me live vicariously through you!